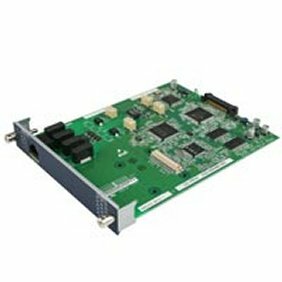 The NEC SV8100 T1 / PRI ISDN Primary Rate Interface Card CD-PRTA is used when you want to connect ISDN lines to the SV8100 phone system. Having digital lines connected to the phone system will allow you to have features like DID (direct inward dialling telephone numbers for each extension or group of extensions). Used to connect up to 24 channels ISDN to the SV8100 phone system. 24 channel 64Kb/s digital circuit and can be used for PRI application or E1 trunks. Setup can be LS, GS, DID, E&M trunks or ANI/DNIS E&N trunks. Supports BCC basic call controll, displays the caller's telephone number and name if programmed.